When you’re a student, life seems to be a perpetual cycle of moving around. Whether you’re shifting your belongings back home for the holidays or moving to yet another student accommodation, sometimes, it just feels as though you have too much stuff. However, whilst it’s awkward to store the surf-board, festival tent and extensive collection of stamp-collectors magazines (or was that just us?) you certainly don’t want to get rid of them. So what’s a person to do? One solution is, of course, to leave your things back home with your parents. But if they live miles away, this can be a real inconvenience, especially when you’re planning a last-minute road-trip with your friends. Self-storage comes in really useful when you want to have those large, awkward items close to hand. They’re also really handy when you want to store your belongings over the summer holidays; because packing everything up to take it back home is a real hassle. When it comes to storing your things, location is everything. You might find a storage unit that’s really cheap, but if it’s miles away from your university, it’s not actually going to be much use. Instead, search for a storage facility that is close by. If you’re planning on moving your belongings by car, you might also want one that has parking. When it comes to costs, not all self-storage companies are created equal. Some are dramatically more expensive than others. However, don’t be lured by price alone. Remember, in some cases, you really will get what you pay for! When you visit the self-storage facility for the first time, remember to ask what’s included in the cost, and whether they have any special offers for students. Your belongings matter to you, and you want to find a company that understands that and can be relied on to look after them properly for you. Don’t be afraid to ask about their security measures. Do they monitor the premises? Can you securely lock your storage area? How else do they protect your things? If you’re not sure which company to select, ask online for recommendations. Read feedback carefully and use it to make an informed decision. There may be times when you need to access your belongings in a rush. Hey, you never know when you might need to get to your mini bouncy castle or scaled replica of Big Ben quickly, right? Remember to ask how easy it is to gain access to your belongings at short notice. Whilst a good self-storage company will go to great lengths to protect your belongings, remember there’s only so much they can do! If your items are vulnerable to damage, make sure you package them well, to ensure they stay well protected. When you’re working out costs, try to forecast into the future. Work out how long realistically you’ll want to keep your things in storage, and use this information to calculate the price. Remember, there are different sizes of storage units available, so make sure you only pay for what you need. 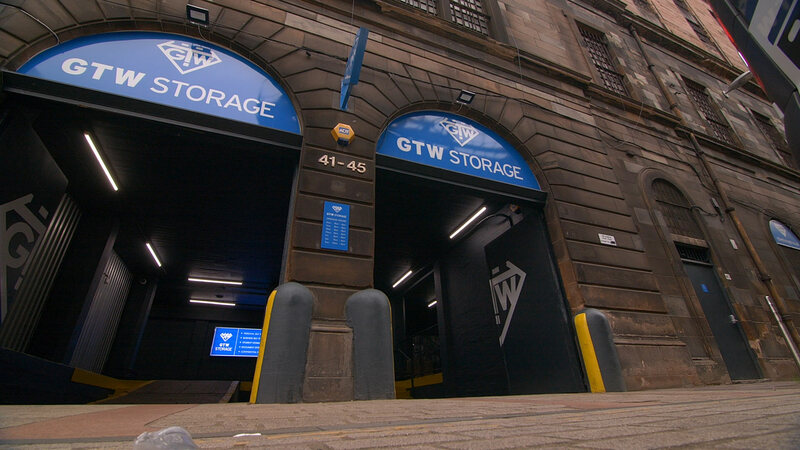 If you’re studying in Glasgow and are looking for self-storage to keep all your belongings safe and sound, get in contact with GTW today. You can call the team on 0141 221 4727.